Mario & Luigi Carrera Go Karts & Pack Of Brand New Contact Brushes. Condition is Used. Used but in excellent condition and with a pack of brand new contact brushes, these cars are in full working order and great condition. Please view my 1000 100% positive feedback for reliability. Suitable for all Carrera Go tracks. Please view my other auctions for more Carrera Go items. Any questions? Please ask. Dispatched with Royal Mail 2nd Class as soon as payment is received. Carrera Morgan Aeromax. The model has been used but appears to have been well looked after. There is NO box. Carrera Set of Spectators. The box doesn't appear to have been opened so the contents are all in good condition. Carrera Morgan 8. I carried out a static test on the model using a 9 volt battery and its motor seems to run well. There is NO box. This is part of a collection that belonged to a gentleman who died last year. Carrera Go 61512 & 61521. For sale is a set of Carrera Go! Only tested to be in perfect working condition. Suitable for any Carrera Go! we reserve the right to open an Unpaid Item Case and relist the item with no further notice. Carrera 27349 - BMW 2002 Touring Car 1975 - Brand new in Box. Code No - 27349. Carrera Slot Car. BMW 2002 Touring Car 1975. Very Difficult Car to find in this Condition . Never removed from plinth. BMW V12 LMR 1999 Le Mans 24HR Winner. This is an ex set (20320) car from the early 2000. CAR IS UNBOXED. Carrera 27415 Alfa Romeo GTA Silhouette 'Race 1' - Brand New in Box. The Pontiac Firebird was featured in countless films and left a lasting impression on the 'muscle car' scene. Pontiac Firebird Trans AM. Carrera Evolution - Scale 1:32. Sylvanian Familes. Tamiya RC Cars. 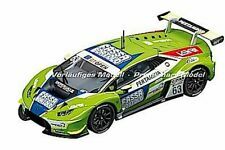 SCALEXTRIC CARRERA EVOLUTION 25701 ASTON MARTIN V12 VANQUISH. VERY GOOD CONDITION. 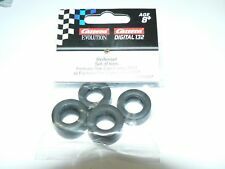 Carrera 27327 Porsche 917/30 **Sunoco Porsche Audi '73** - Brand New in Box. Code No - 27327 Difficult car to find in this Condition . Porsche 917/30 - Sunoco Porsche Audi '73. 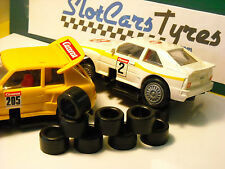 Carrera Slot Car 1/32. Never removed from plinth. Carrera Evolution Red Bull RB7 - Mark Webber - No.2. Model No: 27420. - Digitally Upgradeable With a Carrera Digital Chip. - Spare Shallow Guide. - Reverse Polarity Switch. NEW MINT BOXED. Carrera Evolution 25720. Issued 2003. Case and car mint. Bill Thomas Cheetah "No. The car is new, never used and original boxed. Suitable for Carrera Evolution. Upgrade to Carrera Digital with a decoder is possible. Fahrzeugmarke Cheetah. Suitable for all Carrera evolution railway. CARRERA EVO 27414 BILL THOMAS CHEETAH DAYTONA 1964 1/32 SCALEXTRIC COMPATABLE..
Carrera Evolution 27414. Issued 2012. Carrera Evolution 27555 Chevrolet Bel Air '57, No.90. Carrera Evolution Chevrolet Corvette Sting Ray - No.08 - USA Limited Edition. - Digitally Upgradeable With a Carrera Digital Chip. Model No: 27524. - Spare Shallow Guide. - 1:32 Scale Slot Car. Important Carrera 1:43 Compatibility Information . At the VLN Endurance Cup 2017 the Falken team drivers Jörg Müller and Stef Dusseldorp achieved what the Falken team had worked 18 years for. BMW M6 GT3 "Team Falken, No.3". Carrera Evolution - Scale 1:32. New Carrera Ford Capri Zakspeed Turbo. Out of production model. Very detailed. VW Beetle "Group 5" race 4. Marke Carrera Evolution. No lighting. Original in the box. Not from a starter set. Digital can be retrofitted. Ferrari F-10. Excellent condtion, clean with only light signs of use, muck on the nose has been cleaned off now (didn't see it), but note, no mirrors and is missing a little fin of sorts on the left side, right on the front of the spoiler- can maybe see the one on the right?. (c)2017 Jadlam Racing Ltd. Sylvanian Familes. Tamiya RC Cars. Sylvanian Families. SKU: 19962. Credit / Debit Card. Carrera Evolution 27558 Ferrari 488 GT3 Scuderia Corsa No.68. 1/32 Slot Car. Team Salzburg No23. New Carrera Porsche 917K 1970. Winner of Le Mans 1970. Out of production model. 6 batteries are included so that the Carrera RC Super Mario Kart 8 Mario is ready to race. What are you waiting for?. Nintendo Mario Kart 8, Mario. Super Mario is in his Nintendo Mario Kart(TM) and ready for the big race. © 2017 Jadlam Racing Ltd. (c)2017 Jadlam Racing Ltd. Sylvanian Familes. Tamiya RC Cars. Sylvanian Families. Carrera 27398 Plymouth Superbird 1972 *USA Limited Edition* - Brand New in Box. Code No - 27398 'USA Limited Edition'. Plymouth Superbird 1972. Carrera Slot Car 1/32. Never removed from plinth. Dodge Viper SRT GTS-R. Suitable for all Carrera GO Web. The car is new, never used and original boxed. Suitable for Carrera GO. Marke Carrera GO. 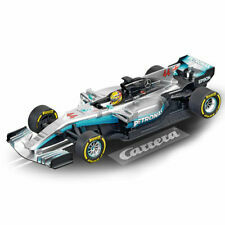 The lot listed is a Carrera Evolution 25707 Ferrari F1 F2002 V10 #2 1/32 scale slot car. BMW GT3 "Team RLL, No. 25". Marke Carrera Evolution. Fahrzeugmarke BMW. The latest from Red Bull Even at first sight, Red Bull's latest racing car makes a convincing impression. The matt black bodywork gives the Red Bull RB 13 a chilly and aggressive look. RB's star designer Adrian Newey has done everything in his power to trump the performance of the previous model, which until then had been the best chassis Red Bull had ever constructed. CARRERA GO! HIGH BANKED CURVE SET. 2 X 90 DEGREE CURVES AND 2 X SHORT STRAIGHTS. ALL IN EXCELLENT CONDITION. Carrera Go Teenage Mutant Ninja Turtles 1/43 Warrington Collection Or Can Post.